In 2014, the North American Division (NAD) unveiled its new science series for grades 1 through 8, ByDesign: A Journey to Excellence Through Science.1 The inquiry model on which the curriculum is based requires significant changes in the way science has been taught in Adventist schools in the NAD. Students will be immersed in the study of Creation, grounded in the biblical foundations of the Adventist worldview, and have daily opportunities to explore science, health, and nature through active learning. With this in mind, we have prepared this article. Based on our more than two decades of experience teaching science and science methods (RLD), and reading and literacy intervention skills (TO), we strongly believe that literacy-instruction strategies, effectively applied, can enhance comprehension and complement the learning experience. Adventist educators are familiar with Ellen White’s inspirational words: “It is the work of true education to develop this power [to think and to do], to train the young people to be thinkers, and not mere reflectors of other people’s thought.”2 For far too long and in too many schools, science has been taught using some version of the following sequence: Students read from the textbook, complete worksheets, take quizzes and tests, and only occasionally participate in hands-on activities. Using this common method does not train our students for inquiry, nor does it enhance engagement or foster true learning, due to the lack of opportunity for students to actively interact with content and grapple with concepts. In order to enhance the likelihood that students will learn more about science and how to think deeply, the new textbooks have integrated several features into the text. One that I (RLD) want to highlight is the integration of faith and biblical principles. Most sections have some aspect of our faith included. It is important that teachers incorporate these when working with their students. If teachers ignore these, the students will view them as unimportant. The new textbooks are built around the concept of inquiry. According to the National Research Council (NRC): “Inquiry is a multifaceted activity that involves making observations; posing questions; examining books and other sources of information to see what is already known; planning investigations; reviewing what is already known in the light of experimental evidence; using tools to gather, analyze, and interpret data; proposing answers, explanations, and predictions; and communicating the results. Inquiry requires identification of assumptions, use of critical and logical thinking, and consideration of alternative explanations.”3 While this is true of science, we shouldn’t limit these skills to this subject matter. Every aspect of life—including spiritual life—needs to be inquiry based, and teachers need to model these skills throughout the curriculum. During and after this lab, the teacher can dialogue with students about their experience and use this knowledge to help them enhance their understanding of classroom and textbook instruction. While space constraints do not allow us to reproduce the more complex activities included throughout the ByDesign series, these two short examples provide a glimpse into its approach to inquiry learning. With inquiry activities being an integral component of this program, readers may wonder if the textbooks are still necessary. While over-reliance on the textbooks is ineffective, the body of scientific knowledge contained in textbooks provides foundational knowledge that the students need to know. 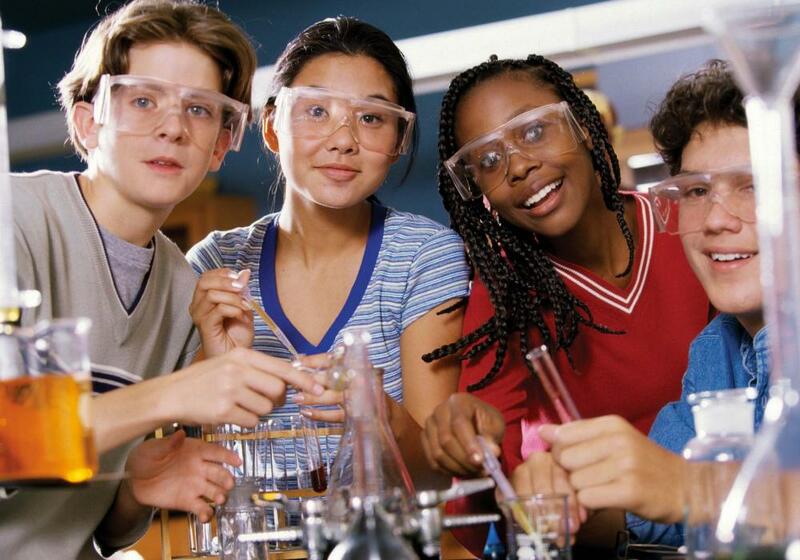 To truly discuss and understand science, the students must begin using the vocabulary of science. This article discusses methods for helping students understand—not just memorize—the scientific concepts presented in the textbook and reinforced by the activities. The ability to learn from a textbook is crucial for student success, especially as they proceed into high school and college. While teachers may be tempted to focus on the many activities in the ByDesign books, they should also help their students learn from their textbooks and improve their reading skills. Why Do Students Need Literacy Support in Science? Sometimes teachers fail to realize how vocabulary-intensive many science textbooks are. Yager6 found that the number of new vocabulary terms presented in secondary science textbooks is higher than that recommended for junior high and high school foreign-language classes. The ByDesign textbooks do not approach this level of vocabulary density, but they still have a significant vocabulary load. The 6th-grade ByDesign textbook, for example, has approximately 360 vocabulary words that are to be explicitly taught and many other words within the text that students likely may not know. Similarly, there may be many spiritual concepts in the text that are unfamiliar to students. Teachers have a crucial responsibility to skillfully use formative feedback and assessment7 to ensure that students truly understand what is being taught. With the high concentration of vocabulary words in textbooks, teachers may be tempted to have students create vocabulary cards and then memorize the definitions or even complete worksheets containing questions at very low levels of thinking. While this method may be efficient in the short term for rote regurgitation of facts on tests or quizzes, it does not ensure that students understand the concepts or retain the words in long-term memory. In this article, we present methods designed to go beyond memorization to ensure understanding. We also urge that the teachers’ manuals be examined, as they provide many different ideas on how to approach the text material. The methods described below are not limited to the ByDesign textbook program but may be used in any subject containing extensive vocabulary. Strategies abound for improving reading comprehension in content-area reading.8 Some strategies that we have found successful at the K-12 levels are: concept mapping, SQ3R, selective underlining, and using quick writes with academic word walls. Concept mapping,9 a visual content-area reading strategy, requires students to grapple with the relationships between the various aspects of the topic of study. (The concept map in Figure 1 uses terms from a ByDesign unit, but this strategy can be used in any content area.) Concept maps, as well as other techniques explored in this article, provide scaffolding for individual students to construct their own meaning based on their prior knowledge and understanding of current texts and content. Each student in a class may create significantly different concept maps than his or her peers, but each map, whether created individually or collaboratively with peers, will enable students to construct knowledge. Teachers should ask students to explain how they made their connections, since this process leads to deeper and more refined understandings. Concept maps are useful in several ways. Based upon the learning theory called constructivism,10 concept maps build upon the principle that memorization of individual, unconnected facts does not increase understanding; instead, new learning must be connected to previous knowledge about which students have gained a thorough understanding. Second, as students create concept maps either individually or in groups, they increase the connections between facts, which enables them to better synthesize and hold ideas in long-term memory due to the increased number of connections or links to previous knowledge. 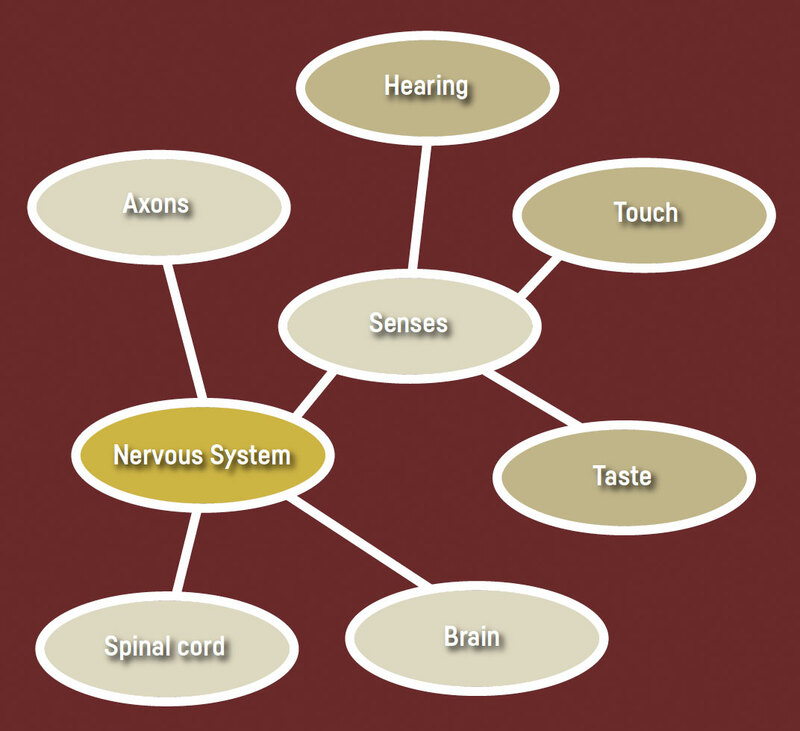 Third, creating a concept map requires students to interact with content and learn at many of the different levels of Bloom’s Taxonomy.11 This type of learning activity leads to higher levels of thinking, stimulating students to go beyond simply remembering and understanding to engage in analyzing, evaluating, and creating. Teaching students to ask the right questions is beneficial in all areas of life, including religion. We want students to be able to ask good questions about their beliefs. Only by doing this can the beliefs become theirs and not just of those of their parents or the teacher. The next steps in the SQ3R sequence are Read, Recite, and Review. In the Read step, students look for answers to the questions they formed after surveying. Students must be taught to set different purposes when reading nonfiction, like their science textbooks. They should read this type of text carefully, monitoring their comprehension and stopping to reread if they have difficulty understanding the content. In the Recite step, ask students to say aloud or write the answers to the questions they generated earlier. Remind them to use their own words to answer the questions and to check their answers against their notes for accuracy. The final step, Review, constitutes an ongoing process. After each section, the students are asked to consider how their reading connects to what they previously knew. They can reread notes they have taken, revisit headings to see if they can still summarize what they learned in that section, and add to ongoing concept mapping.13 When I (TO) taught this to my students a few years ago, they complained that it was too much work. But several came back a few years later and told me they were glad they had learned it because it really worked. Often, students are prohibited from underlining in textbooks because the books will be reused in subsequent years. However, selective underlining,14 a process in which the reader underlines or highlights elements of the text that are crucial to understanding, can aid the learning process. Photocopying and distributing some pages from a textbook allows students to practice this technique without reducing the value of the textbook for subsequent students. Another option is to have the students use the highlighter in the electronic version of the ByDesign textbook. To increase the effectiveness of this method, teachers should vary what they ask students to underline. Students can underline (1) the topic sentence of each paragraph; (2) vocabulary words, along with their in-context definitions; (3) ideas about which they would like to know more; or even (4) each concept from which they can draw a spiritual lesson. This method can be augmented by using different colors of highlighter for varying purposes. For example, students might use one color highlighter for topic sentences and another for important vocabulary words. When I (TO) last read the book Education, I highlighted with green all the references to nature. This technique helps students learn that their underlining should be targeted to text that specifically needs attention. Students who are not taught this skill will often underline too much material, negating the effectiveness of this strategy. Another option for using this technique could be used in schools where each student has a tablet or laptop. Various applications,15 such as iAnnotate or PDF Max, allow students to create notes and to highlight PDFs. Many elementary teachers have used academic word walls and quick writes in content-area teaching. An academic word wall (AWW) is different from the word walls typically seen in elementary classrooms, which usually contain high-frequency words.16 AWWs are collections of content vocabulary words placed on the wall of the classroom. These words are used to preview, practice, and review vocabulary, thereby providing the students with many opportunities for meaningful exposures to the words. A quick write17 is a brief writing sample created in response to reading or instruction. Teachers using this strategy ask their students to respond to a prompt for a short period of time, usually less than 10 minutes. Quick writes allow students to think critically while manipulating content and vocabulary and organizing their learning in meaningful ways. Reading students’ quick writes helps the teacher assess their synthesis of learning and understanding of key concepts. Lesson 1: symmetry, bilateral symmetry, radial symmetry, and asymmetry. Lesson 2: sponge, spongin, regeneration, cnidarian, and annelid. Lesson 3: mollusk, mantle, radula, bivalve, echinoderm, endoskeleton, water-vascular system, and tube foot, Proverbs 6:6-9: sluggard. Lesson 4: arthropod, exoskeleton, antenna, molt, complete metamorphosis, and incomplete metamorphosis. Lesson 5: ocelli, compound eye, olfaction, pheromone, and chromatophore. Before teaching Lesson 1, post its vocabulary words on the academic word wall. Introduce the words to the students, pronouncing each word and asking the students to repeat them. Tell the students to pay careful attention to these words since they will see them in the upcoming lesson. While teaching Lesson 1, refer to the academic word wall when each vocabulary word appears in the lesson. At the completion of Lesson 1, ask the students to close their textbooks and take out a sheet of paper to do a quick write. Instruct them to write as much as they can remember about the lesson, using as many words from the academic word wall as possible. A typical amount of time for a quick write would be three to five minutes; however, let the students’ developmental level guide you when choosing the appropriate time for this task. At the end of the allotted time, collect the quick writes and read them later in the day. Recognizing the value of this activity as a formative assessment, many teachers choose to give students a standard number of points for completing the assignment, or give points for completion of specific parameters, such as the number of sentences or number of vocabulary words used. This activity enables students to solidify their understanding of the lesson’s concepts through manipulation of the vocabulary in a non-threatening setting. Before the next day’s lesson, choose a few quick writes that adequately synthesized the lesson’s content to share with the class. The Pilot FriXion™ pen,19 available at many stores or on Amazon.com, uses the friction from the motion of erasing to generate heat that causes the highlighter ink to disappear, leaving no marks or eraser dust. Use of this device might alleviate the concern of highlighting within the actual textbook and will eliminate the need to make multiple copies of the text for underlining practice. While the pen should be tested for use before implementation with new textbooks, it could prove useful and highly engaging for students. Each day, repeat the paired use of the academic word wall with quick writes. As summative assessment time approaches, ask the students to do a comprehensive quick write using as many words as possible from all lessons to review what they have learned. Teachers could also ask students to use the words from the academic word wall in their science journal assignments. Incorporating important vocabulary into their writing about inquiry activities will enhance the usefulness of this important tool. While science teaching should be inquiry-based at both the elementary and secondary levels, textbooks and other text-based materials are still an important part of the learning process. Each of the methods included in this article offers an important tool for a teacher’s instructional practice and for the student’s strategy toolbox. Teachers should ensure that each method is taught and its use scaffolded until the students can use it with ease and success. However, over time, teaching several methods offers greater likelihood of success, as each student will naturally prefer and learn more using one method than another. We have had success with each of these methods with students at many grade levels. As they became more proficient in strategy usage, our students’ comprehension increased, and their ability to use their textbooks as tools for learning and inquiry improved. Observing as students articulate complex science concepts with appropriate vocabulary while participating in meaningful inquiry with ByDesign materials and texts will make it clear that teaching them how to use these strategies was worthwhile. Furthermore, these strategies will also benefit students as they read textbooks from other subjects. Teachers will need to recognize that some methods take longer for students to fully understand and to acquire the benefits. However, teaching students to successfully learn from textbooks can be rewarding, not only in the class where these methods are taught, but also when students move on to higher grades or to college and report how crucial those study skills have been to their academic success. Further, in a world where science is often taught with worldviews that are antagonistic to Adventist beliefs, improving students’ ability to read with high levels of comprehension and to inquire and think deeply in all they learn is an aspect of education that we must address. R. Lee Davidson, Ed.D., is Chair of the Department of Teaching, Learning, and Curriculum at Andrews University in Berrien Springs, Michigan. For more than 25 years, Dr. Davidson served as a math and science teacher and a principal in K-12 schools. He has developed two educational software series to accompany textbooks developed for Adventist schools, and was a member of the Lead Team in developing the ByDesign Science textbook series. 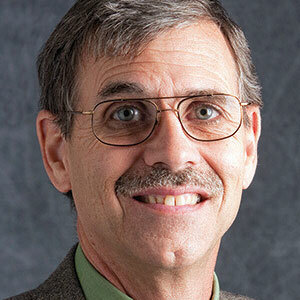 Dr. Davidson teaches math, science and technology methods, and testing and evaluation at Andrews University. 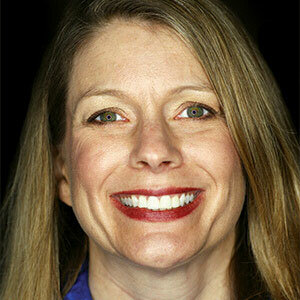 Tammy Overstreet, Ph.D., is an Associate Professor at Southern Adventist University’s Online Campus. She holds a Master’s degree in literacy education and a doctorate in curriculum and instruction. A lifelong Adventist educator and administrator, Dr. Overstreet has more than two decades of involvement in literacy education, and her elementary classroom experience includes teaching in single-grade and multigrade classrooms. In her current position, she provides support to professors as they use technology in their face-to-face classrooms, both to teach more effectively and to increase student engagement. General Conference of Seventh-day Adventists, North American Division Office of Education, ByDesign Science: A Journey to Excele Through Science, Levels 1-8 (Dubuque, Iowa: KendallHunt Religious Publishing Company, 2012-2014). Ellen G. White, True Education (Nampa, Idaho: Pacific Press Publ. Assn., 2000), p. 12. National Research Council (NRC), National Science Education Standards (Washington, D.C.: National Academy Press, 1996), p. 23. ByDesign Science, 2012, op. cit., Level 1, p. 172. ByDesign Science, 2013, ibid., Level 6, p. 146. Robert E. Yager, “The Importance of Terminology in Teaching K-12 Science,” Journal of Research in Science Teaching 20:6 (September 1983):577-588. doi: 10.1002/tea.3660200610. Carnegie Mellon University, Eberly Center for Teaching Excellence, “The Whys and Hows of Assessment,” https://www.cmu.edu/teaching/assessment/basics/formative-summative.html. All Websites in the endnotes were accessed March 15, 2016. Kate Cain, “Making Sense of Text: Skills That Support Text Comprehension and Its Development,” Perspectives on Language and Literacy: A Quarterly Publication of the International Dyslexia Association 35:2 (Spring 2009):11, 12; Margaret G. McKeown, Isabel L. Beck, and Ronette G. K. Blake, “Reading Comprehension Instruction: Focus on Content or Strategies?” Perspectives on Language and Literacy: A Quarterly Publication of the International Dyslexia Association 35:2 (Spring 2009):28-32; D. Ray Reutzel and Robert B. Cooter, Jr., Strategies for Reading Assessment and Instruction: Helping Every Child Succeed, 4th ed. (Boston: Pearson, 2010); Norman Unrau, Content Area Reading and Writing: Fostering Literacies in Middle and High School Cultures, 2nd ed. (Upper Saddle River, N.J.: Pearson, 2008); Richard T. Vacca and Jo Anne L. Vacca, Content Area Reading: Literacy and Learning Across the Curriculum, 8th ed. (Boston: Pearson, 2005). Kathy Schrock, “Concept Mapping in the Classroom,” Kathy Schrock’s Guide to Everything (Wilkes-Barre, Penna. : Wilkes University, 2011): http://www.schrockguide.net/concept-mapping.html. Teachnology: The Online Teacher Resource, “Constructivism Learning Theory”: http://www.teach-nology.com/currenttrends/con structivism/; Austin C. Archer, “Constructivism and Christian Teaching,” The Journal of Adventist Education 64:3 (February/March 2002):32-39: http://circle.adventist.org/files/jae/en/jae200264033208.pdf. Th Right Question Institute, http://rightquestion.org/about/strategy/. The institute promotes the Questions Formulation Technique, a strategy that teaches learners how to formulate questions and stimulates accountable decision-making. For more information on the SQ3R technique, visit https://www.youtube.com/watch?v=Qf7xD-9YaKo. This video is presented by Victoria Willson, Reading Specialist in the Northwestern Michigan College Writing and Reading Center, and covers the basics of the SQ3R method for reading textbooks. ReadingQuest.org, Making Sense of Social Studies, “Strategies for Reading Comprehension: Selective Underlining”: http://www.read ingquest.org/strat/underline.html. Hongkiat Technology Design Inspiration, “20 Free Tools to Annotate PDF Documents”: http://www.hongkiat.com/blog/free-pdf-annotation-tools/. Lisa Larson, Temoca Dixon, and Dianna Townsend, “How Can Teachers Increase Classroom Use of Academic Vocabulary?” Voices From the Middle 20:4 (May 2013):16-21: http://www.ncte.org/library/NCTE Files/Resources/Journals/VM/0204-may2013/VM0204How.pdf. On Course® Workshop: Helping Colleges Improve Student Success and Retention, “Six Ways to Use Quick Writes to Promote Learning”: http://oncourseworkshop.com/life-long-learning/six-ways-use-quick-writes-promote-learning/. ByDesign Science, 2014, Level 7, op. cit., pp. 52-97. Marianne Ødegaard et al., “Budding Science and Literacy. A Classroom Video Study of the Challenges and Support in an Integrated Inquiry and Literacy Teaching Model,” Procedia—Social and Behavioral Sciences 167 (January 2015):274-278. doi: 10.1016/j.sbspro.2014.12.674.